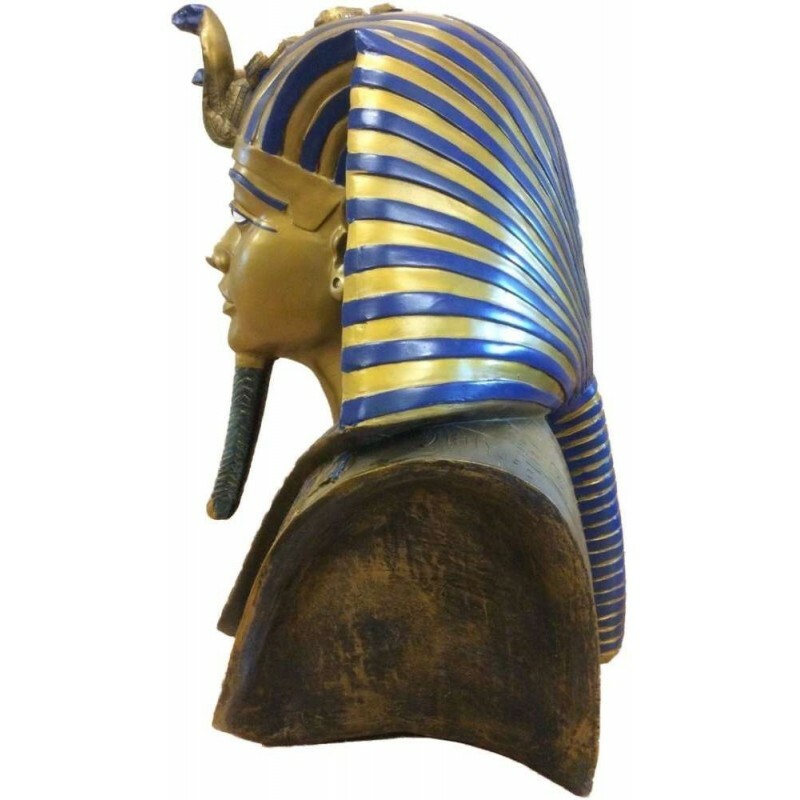 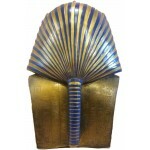 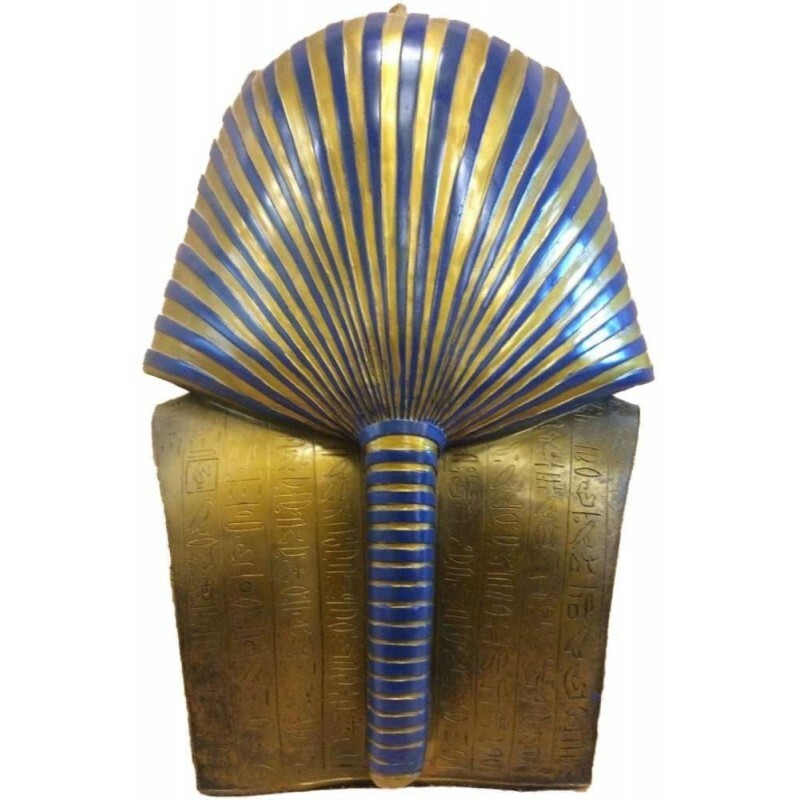 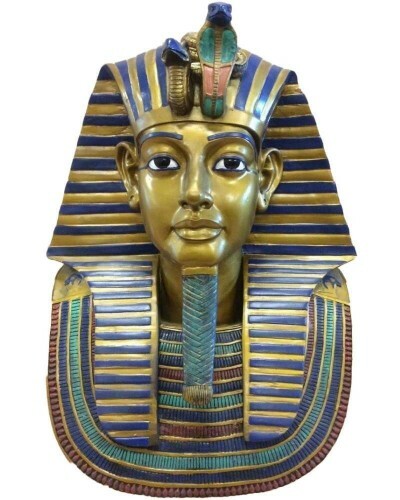 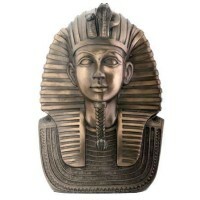 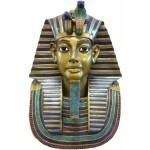 Own an iconic artifact of Ancient Egypt - this beautiful King Tut Bust stands 18 3/4 inches tall. 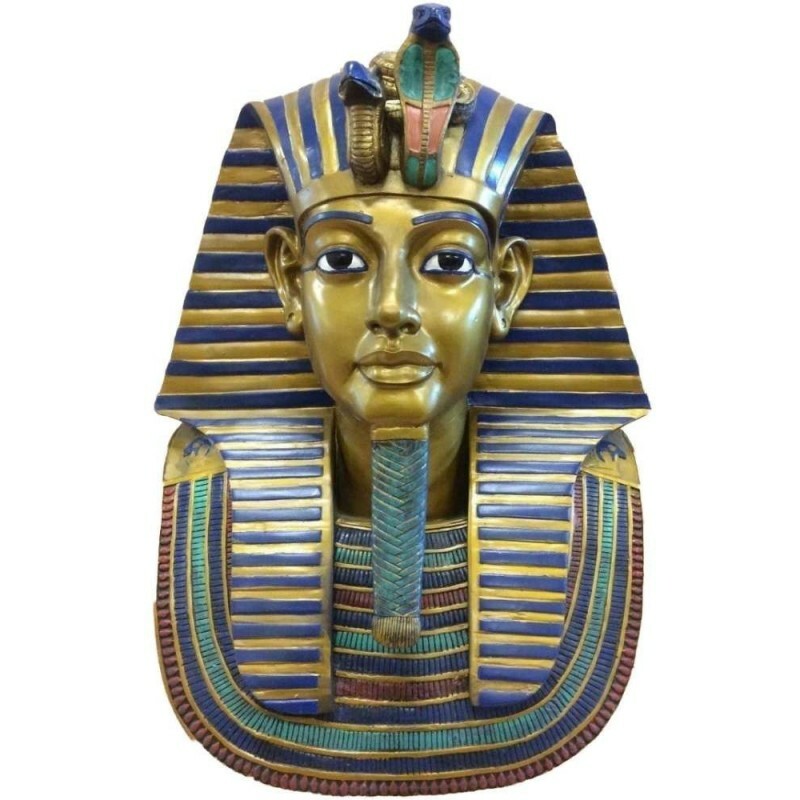 When the original of this incredible piece was found on the mummy of King Tutankamen, it amazed the art world with its inset carnelian, turquoise and lapis luzili - not to mention being made of solid gold! 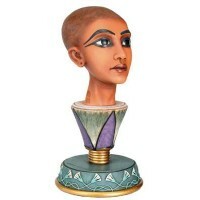 This cold cast resin version has all the beautiful colors of the original in hand painted detail instead of semi-precious gems. Not actually a mask, it is a solid bust style statue for your table or desk standing 18 3/4 inches high. 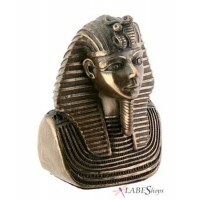 Item Number: PT-9249 | Approximate Size (Inches): 10.00 wide x 8.00 deep x 19.00 high | Approximate Shipping Weight: 9.00 lbs.